My wife Susan and I were living in Chicago, attending Marquette Manor Baptist Church. In 1990, after a Sunday school revival meeting held by Leon Kilbreth, God spoke to my heart, letting me know we would serve Him full time. God confirmed this calling with my wife some days later, and we both were willing to follow Him. At the time, I had a good salaried job as associate director of food service at Northwestern Memorial Hospital on Lakeshore Drive in downtown Chicago and owned a home in West Chicago. However, God has so abundantly blessed us not only physically, but in growing in the knowledge and grace of our Lord, that we have neither missed nor regretted our decision at any time. 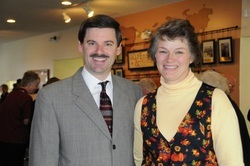 In November 2010 the Lord led Steve and Ruth Carr to Shepherd's Bethel to help with the ministry. Steve is the director of maintenance and his responsibilities include, maintenance of the homes,facility structures, and upkeep of the grounds. He is a very proficient artist and wood-worker, and has been a Hugh addition to our staff. Pastor Ryan Banman serves as the senior pastor of East Park Baptist Church in Decatur, Illinois, where he as ministered since 2003. He is a graduate of Bob Jones University where he earned an undergraduate degree in Bible and an MA in pastoral studies. He also serves on the board of Bible Tracts, Inc. and the Association of Independent Baptist Churches of Illinois. He and his wife Jamieson have two sons, and share a burden to see God's people live their lives in the context of eternity by committing themselves to advancing the kingdom of God. Pastor Kevin Gaugler is the pastor of Coatesville Missionary Baptist Church in Coatesville, IN. Mike served on the pastor staff of Bethel Baptist Church in Schaumburg, IL, for eleven years before starting his own ministry of helps to churches called Harvest Media. Continuing as an active lay leader and deacon at Bethel, Mike is now president of Harvest Media and has been blessed with the opportunity to design and produce materials for many outstanding churches, Christian schools, seminaries, and para-church ministries like Neighborhood Bible Time and the Fundamental Baptist Fellowship International. Pastor Ron Peterson is a 1982 graduate of Tennessee Temple University and has been in full-time Christian service since 1980. He has served the Lord as a Christian school teacher and coach, assistant pastor, church planter with BIMI in Ohio, and has been the senior pastor of three other churches. Pastor Peterson serves on several boards, including Camp Michiana, Neil Cadwell Evangelistic Association, and Shepherd's Bethel. 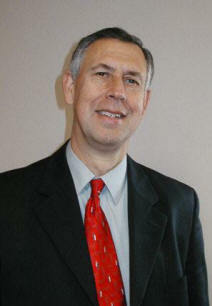 He also serves as the state athletic director for the Indiana Association of Christian Schools. Pastor Peterson is a native Hoosier, born in LaPorte, but raised in Muncie. In 1977, he married Jami Ringer, a West Virginia native whom he met at Tennessee Temple. The Petersons have two grown children, daughter Elizabeth and son Shannon. 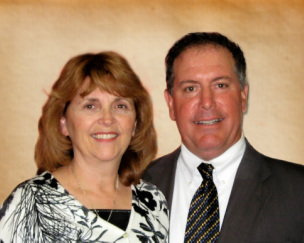 Pastor Slutz has pastored Thompson Road Baptist church in Indianapolis for the past twenty-six years. 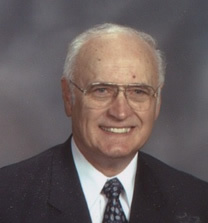 He has served as president of the Indiana Fundamental Baptist Fellowship and has been a board member of Baptist World Mission for many years. He and his wife, Ellen, have three children and seven grandchildren. David J. Tessmann was saved at age eleven. He was a Charter Member of Calvary Baptist Church in Watertown, WI. He was a pastor for thirty-three years. He founded Timothy Builders, which assists soulwinning Baptist churches in their building programs. He has four children and eight grandchildren. 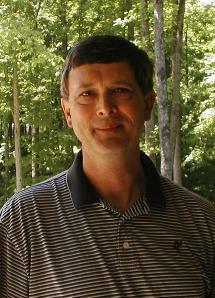 Pastor Kenny Walden graduated from Bob Jones University in 1978. He then served as associate pastor at First Baptist Church of Westwood Lake in Miami, FL from 1978-1989. 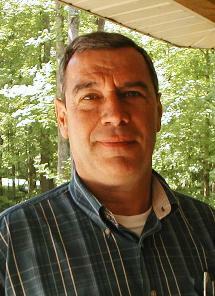 Pastor Walden has been the senior pastor of Fayetteville Baptist Church in Fayetteville, IN from 1989 to the present. Dr. David L. Zempel was born on a dairy farm in central Wisconsin. He was a faithful member of First Baptist Church in Waupaca, WI till age eighteen. In 1979, he graduated from Maranatha Baptist Bible College with a BA in Pastoral Studies/Evangelism, and was ordained to the ministry on June 18, 1977. He holds an honorary Doctor of Divinity from Heritage University (1977). He has served in a variety of ministries and capacities, including youth pastor, bus pastor, children's church worker, interim pastor, school administrator, assistant pastor, and senior pastor.